Can you imagine a dance in space? It must be a great thing to watch for anyone. 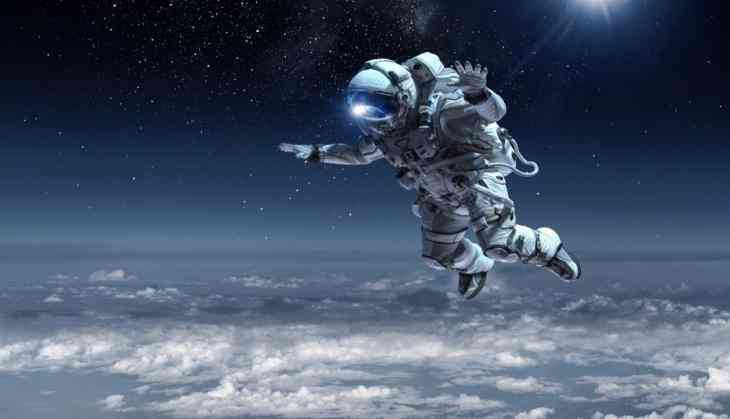 Imagine when the astronauts first time walk in the space, which was definitely a great achievement not only in the Science world but also for human beings. Now, the astronaut of NASA has performed some dance steps in space. Amazingly, it was an Indian folk dance that astronaut did in space. As we know that there is no gravity in space and dancing in such circumstances is a big challenge. But, this made possible when a video went viral on social media in which an astronaut named Mike Fincke shook his legs on Rangoli Bihu, a folk dance from Assam. The video has been shared by a Twitter user named Anupam Bordoloi on the occasion of Bihu festival. He shared the video with a caption, “What's #RongaliBihu without song and dance. Here's #NASA astronaut Mike Fincke performing Bihu aboard the International Space Station in 2004. In the video, Mike can be seen doing some signature steps of Assamese folk dance. It’s a cherry on the cake when astronaut did cartwheels in the video. To give the touch of tradition, Mike also wore a red and white cloth in his neck and give the complete Indian touch to his dance. As per the Assamese tradition, gamosaa (the cloth he wore) is a part of Bihu dance. After seeing this amazing dance video, Twitterati can’t keep calm and applauded the NASA astronaut Mike Fincke. However, Bihu or Assamese New Year is the chief festival in the Assam state of India, which is celebrated in the month of April. What do you think about this dance performance in space? Comment, share and like our stories on Facebook page..